Simply that. 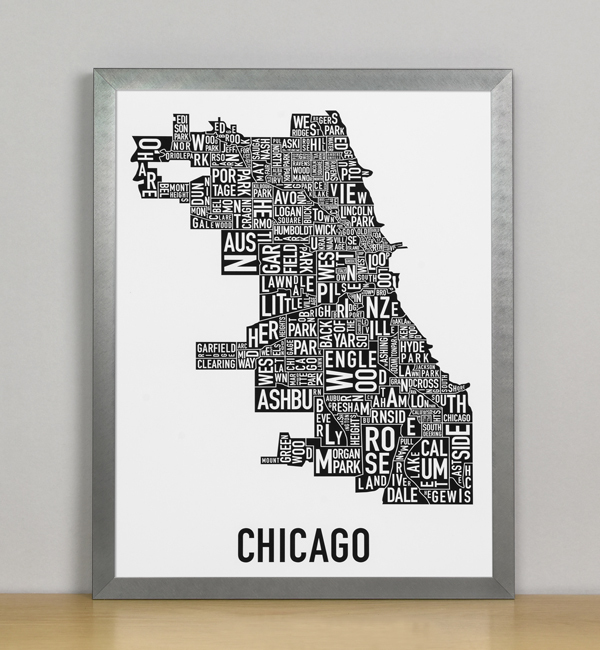 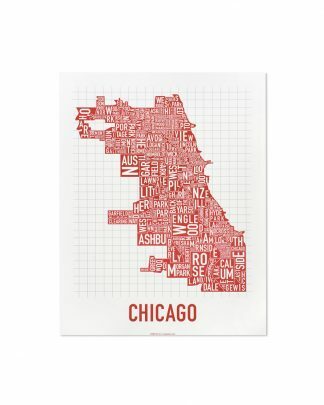 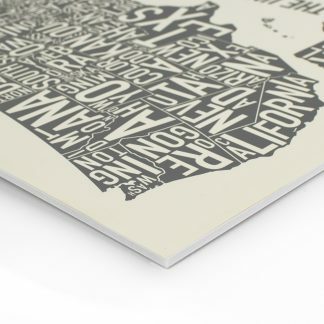 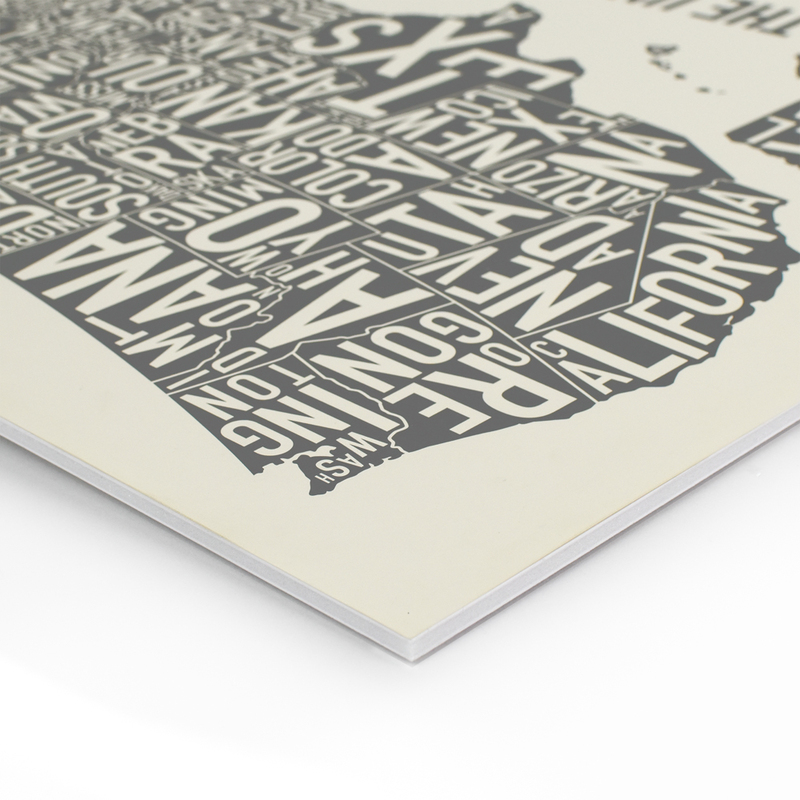 11” x 14” typographic map of the neighborhoods within the city limits of Chicago. 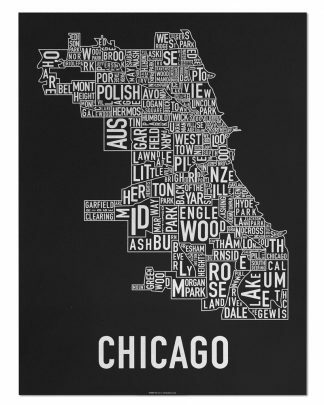 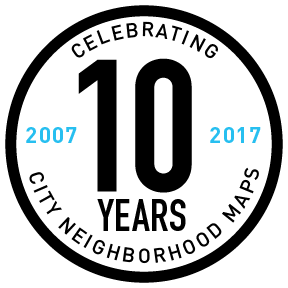 The letters of each neighborhood name are twisted and turned to fit inside the area of the neighborhood.